Will I miss the sky? Will I miss the clouds? Will I miss the ocean? Will I miss the bay? Will I miss the sunrise? Will I miss the moon? Will I miss the mountains? Will I miss the trees? Will I miss the city lights? Will I miss the snow? Will I miss the laughter? Will I miss the jokes? This picture is the one that best represent me now. 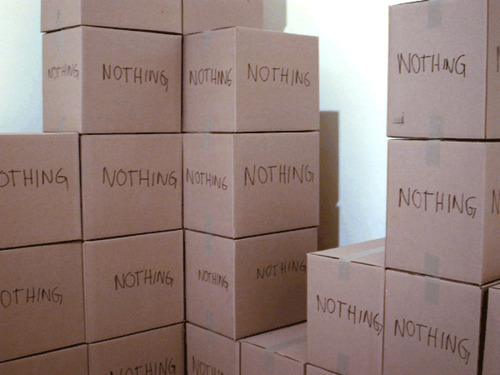 Loads of stuff that amount to nothing.